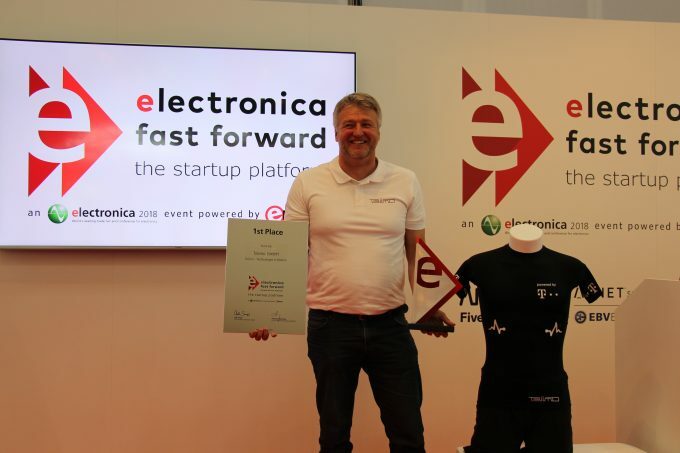 A blast was had by all at the Elektor Labs booth when the winners of the electronica Fast Forward competition were announced last week during the world’s leading trade fair for electronic components, systems, applications and solutions in Munich. 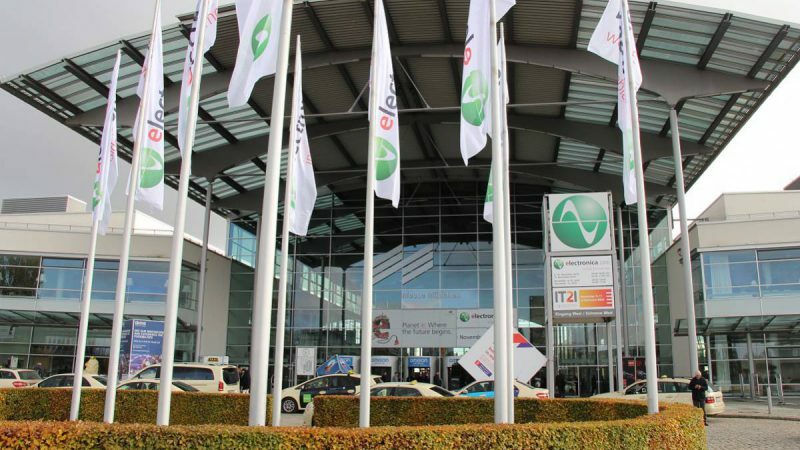 In 17 halls more than 3.000 exhibitors from over 50 countries showcased their products and solutions. Among them were plenty of start-up companies, too. 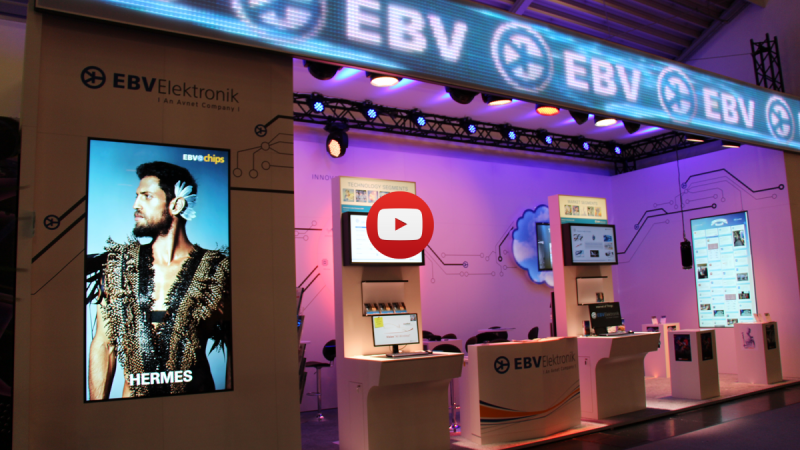 On the Elektor Labs booth, not only several entrepreneurs exhibited but also a stage area was dedicated to speakers from the electronics industry. Their presentations were aimed to support and give guidance to entrepreneurs and electronic newcomers which think about or already work on projects to bring products to the market. Certainly a highlight was the speech of Eben Upton, the creator of the revolutionary Raspberry Pi. But also the presentations of representatives of leading industry players gave valuable insights. Such as the one of Markus Vogt, Director Market Segment Healthcare and Personal Devices at EBV Elektronik, who explained in detail how to find the right idea to start a company and demonstrated the path to successfully launch a product to the market, not forgetting to indicate potential pitfalls. Solid and tangible stuff could be seen during the product presentations of the start-up companies that participated in the electronica Fast Forward competition. 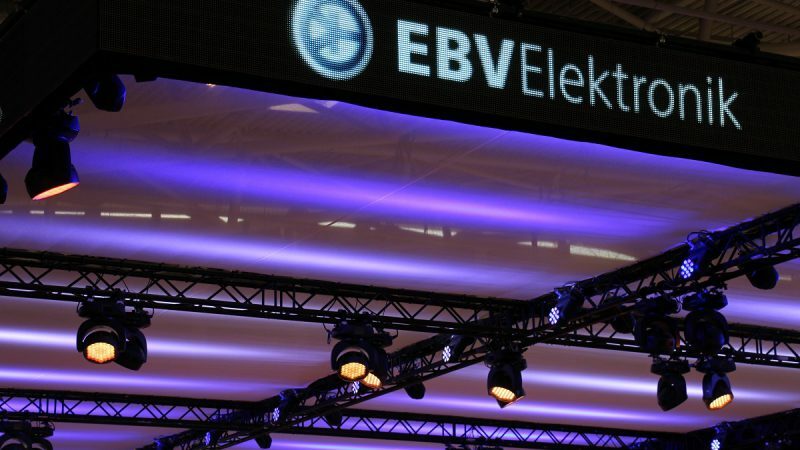 The start-up platform was co-sponsored by EBV Elektronik and brought up highly interesting products that were presented in a pitch session. Accordingly, it was not an easy decision for the jury to select the finalists and winners of the challenge. But in the end, Elektor’s CEO Don Akkermans could present three companies to the crowd. We want to mention two companies here that were already in collaboration with EBV during the design phase of their products. Querom Elektronik, a Bavarian start-up company founded in 2017 presented a tailor-made power electronics solution for electro mobility. 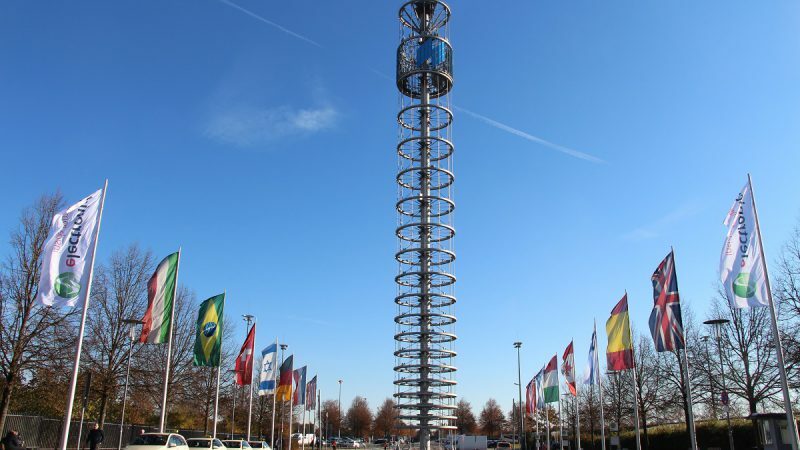 Their high-voltage DC-DC converter won the third prize in the Fast Forward contest. The converters are developed and manufactured for a wide range of future markets, which form the interface between high-voltage and low-voltage networks. They allow an implementation in various systems via flexibly adaptable digital inputs and outputs, as well as via several configurable bus systems. However, a totally different product edged out the competition. As one of the leaders in textile system integration in the field of conformable electronics, Teiimo developed an innovative textile that has an intelligent electronic system fully integrated within the garment. It consists of sensors, conductors and electronics for measuring and transmitting body and position data. This product will be of high interest especially for customers in the sports segment but also in the healthcare segment it will be helpful to monitor the health status of patients. 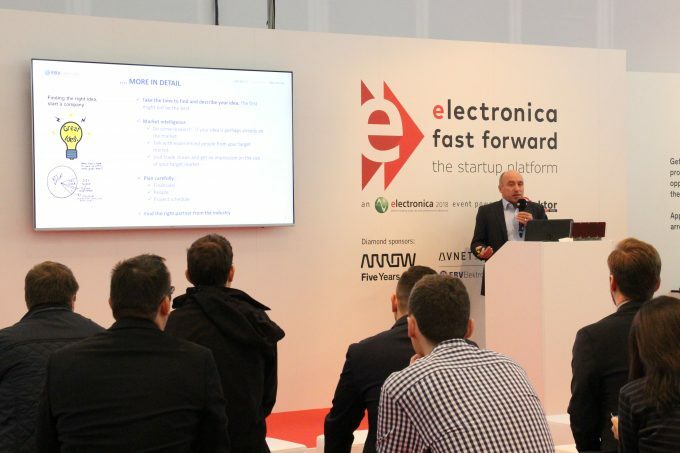 In a nutshell, the Elektor Fast Forward competition was a perfect platform for start-ups to present themselves and their product ideas to a big audience during electronica trade fair. And the show will go on. More start-up companies will sprout up from the ground and they will need support. The EBV StartmeUp team will be there to support them. Just get in touch with us with your ideas for innovative products.